The BestX Pre-Trade software provides clients with the ability to analyse the costs of trading prior to execution. What-if analysis for a given trade is permitted using the proprietary BestX cost models, allowing a trade to be optimised in terms of timing, size of trade or method of execution. Netting analysis for a given currency pair is supported, allowing users to quantify the potential benefits of waiting to net or not by weighing up the opportunity cost vs spread cost for different periods of the trading day. In addition, the Pre-Trade portal is automatically populated with a summary of the empirical performance that the client has achieved for similar transactions in the past based on results from the BestX Post-Trade application. Results from any pre-trade analysis conducted by the user can be saved in order to link with the resulting post-trade performance, and also exported in the form of a report. Please note that access to the Pre-Trade module and/or components thereof is subject to certain eligibility requirements - please contact BestX for more information. BestX Pre-Trade analytics enable clients to perform analysis prior to execution, to compare and contrast different styles and aspects of execution and to help justify the decision making around choice of method, time of day, size, counterparty etc. The BestX Post-Trade Analytics are live for FX Spot, Forwards, Swaps & NDFs, providing market participants with a unique interface to analyse the costs and execution performance of their FX transactions. The interface is fully interactive, and real-time, providing users with the ability to analyse their data in any dimension and create tailor-made reports at the click of a button. 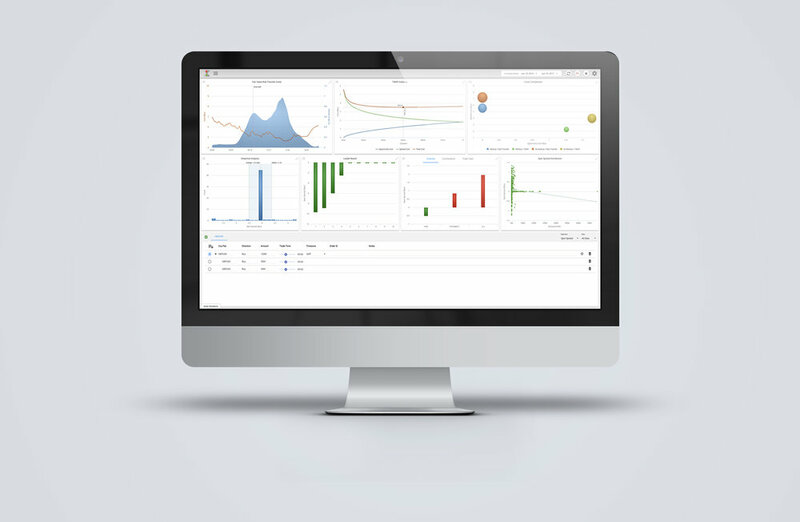 The product provides a unique set of analytics, measuring all aspects of execution performance, including spread & impact costs and signaling risk. 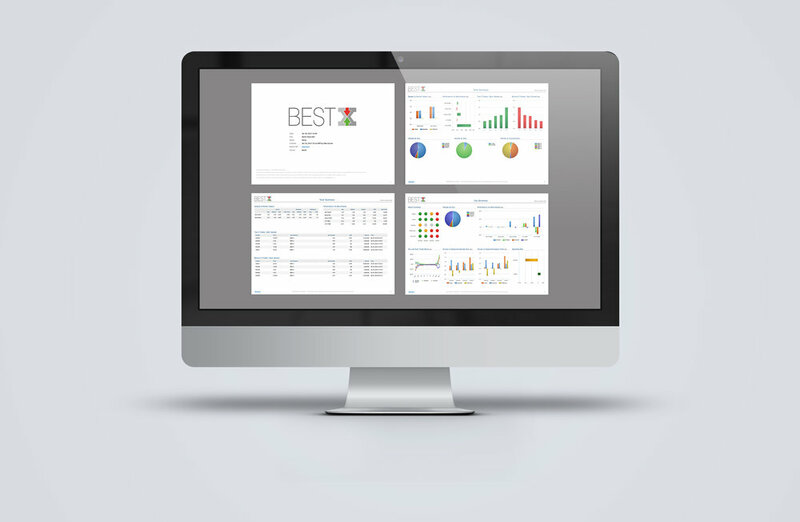 A comprehensive market data database feeds the analytics and is used to compute representative benchmarks that facilitate a consistent and fair evaluation of performance on a level playing field. Fully flexible exception reporting is supported, allowing institutions to configure their own best ex policy based on any execution metric and thresholds. Trade data can be securely loaded into the application in many different forms, either via STP or flexible file uploads where BestX can consume trade data in any format. This screen allows the user to analyse an individual trade in more detail. BestX views best execution as a process, whereby a range of factors need to be considered in any individual trade in order to assess the quality of the execution. These factors are analysed in detail on the Trade Inspector screen. This screen provides an overview of the results for the portfolio of trades. The view is dynamic in that the number of charts will vary depending on the optional trade data fields that were submitted. The summary screens display the same metrics as previously described for the Trade Inspector screen, but they are now aggregated and displayed according to the specified data type. So, for example, as the ‘Ccy Summary’ screenshot above illustrates, the values are displayed by currency pair. Additional Summary screens become available depending on the availability of the optional fields for the input trade data. The example above shows the summary by Counterparty, whilst we also offer summary by Portfolio/Account, Trade Type (e.g. RFQ, Voice, Algo etc), Channel/Platform, Trader, Algo Type, Algo Name, Execution Type and Venue. The application currently supports the generation of 2 pdf report types, Summary & Individual Trade. The Summary PDF report will be based on the exact report that the user has created in the application, i.e. if the user has used the filter to create a specific report, then this will be downloaded as the pdf file. In this way, a user can generate tailor made reports very quickly. The application allows a user to drill further down into the results and create customized, filtered views of the data. This is particularly useful for large portfolios of trades.